Ahamdulilah (Praise be to Allah), I thanked Allah for having completed writing this pocket sized book in relatively short time. We intentionally published the book in small size as a material of practical Christology study delivered in one session meeting. This is the 6th edition book we published to fulfill the demand of the public. We also have done some changes and added some new materials to this book. 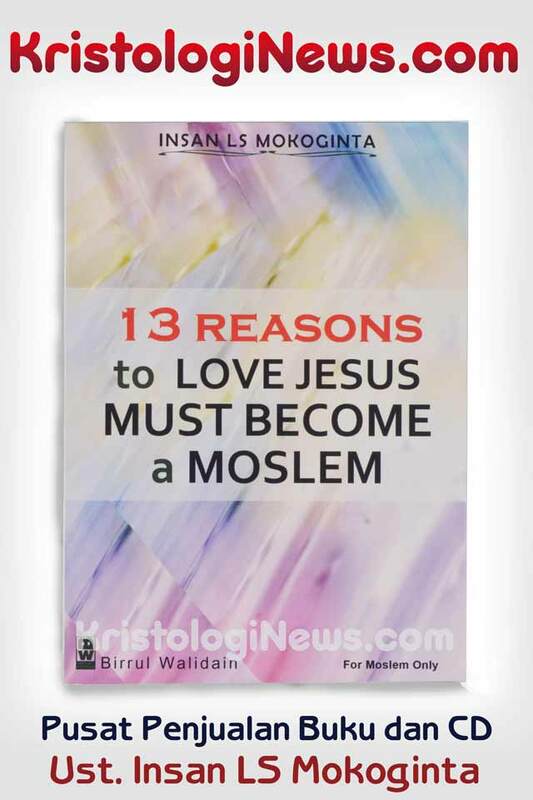 Actually there are still many more reasons we like to add to this book in order to prove that to become Jesus’ true followers, one must convert to Islam. 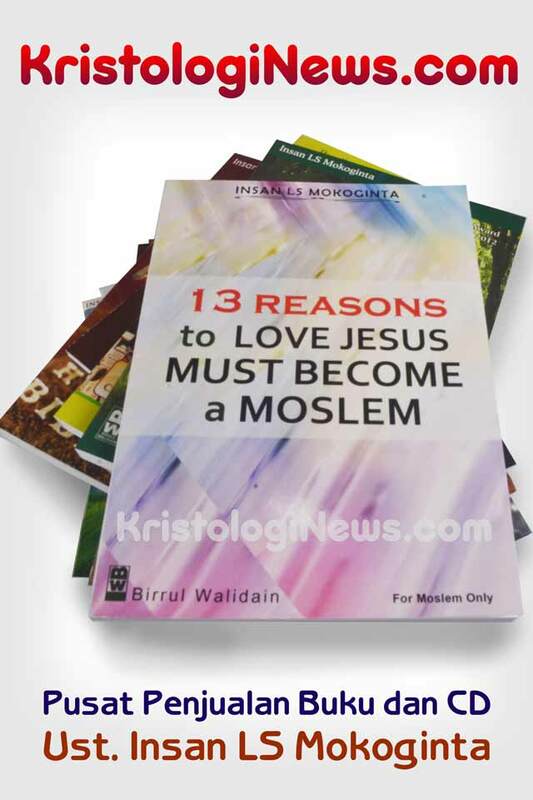 Studying about Jesus, the Holy Books (Torah, Psalms, and Bible) is not meant to interfere with religion of others, but it is something worthy and necessary for every Muslims to know. Why? It is because Jesus is the prophet of Muslims honored deeply in the Qur’an. The Book of Torah, Psalms, and Bible were mentioned in the Qur’an as the Books which all Muslims must have faith in. That’s why, studying Christology is a part of Islam logy since The Qur’an mentions about the existence of Jesus, Torah, Psalms and Bible. 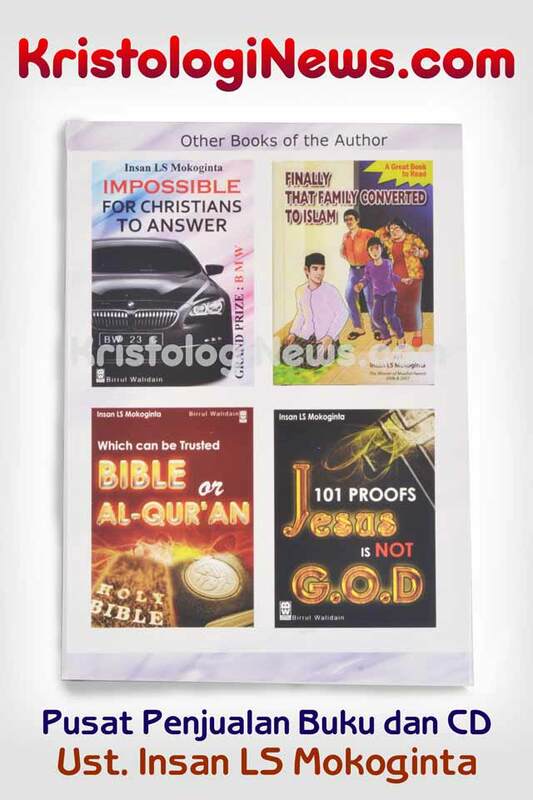 This small — sized book will lead us to understand that all the right teachings of Allah and also Jesus’ in the Bible is not contrary to The Qur’an and the teachings of The Prophet Muhammad shallallahu ‘alaihi wa sallam (May Allah bless him an give him peace). We have learnt that the Prophet Muhammad shallallahu ‘alaihi wa sallam (May Allah bless him and give him peace) was the successor of The Prophet Jesus’ teachings. Therefore, studying Jesus and the Bible is not taboo. As the real Bible no longer exists and Christians thought that the Bible they have now is Allah’s Sayings, we, as Muslims, have no other choice except seek a proof to see whether the Bible they have now the real one or not. If the BIble were really revelation from Allah, Muslims might not deny it and they even must have faith in it. If it is proved that the Bible has had some changes, there is no obligation to believe in it. And it is very natural when some Muslims have criticized the contents of the Bible in order to find the truth. May this small book help us find the real truth. We are aware of the limitation of this book, we would, therefore, be most grateful if readers supply us with any correction or comments that might make this book more useful and accurate. May Allah give His guidance to those who seek the real truth.